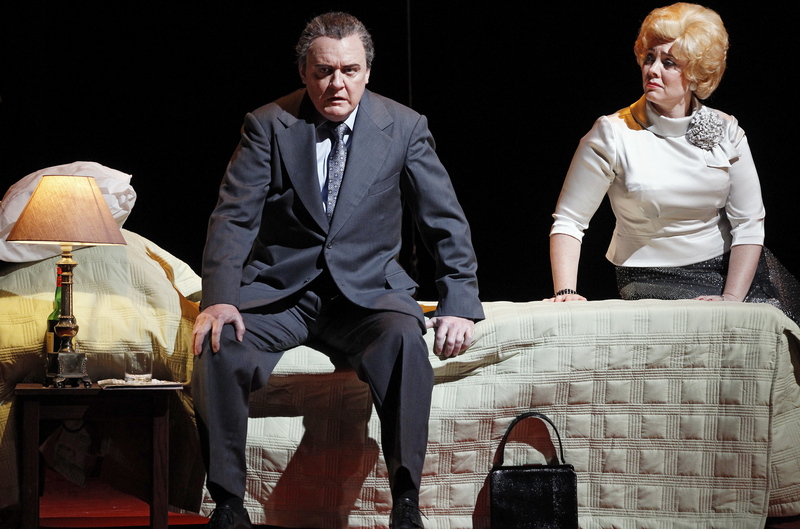 Marking the Sydney debut of European (and Melbourne) favourite bel canto nightingale Jessica Pratt, the cast is also blessed with the eagerly anticipated Sydney return of electric American tenor Michael Fabiano (Faust). The pair leads a uniformly strong cast, all of whom bring their very best to create an evening of exquisite singing. 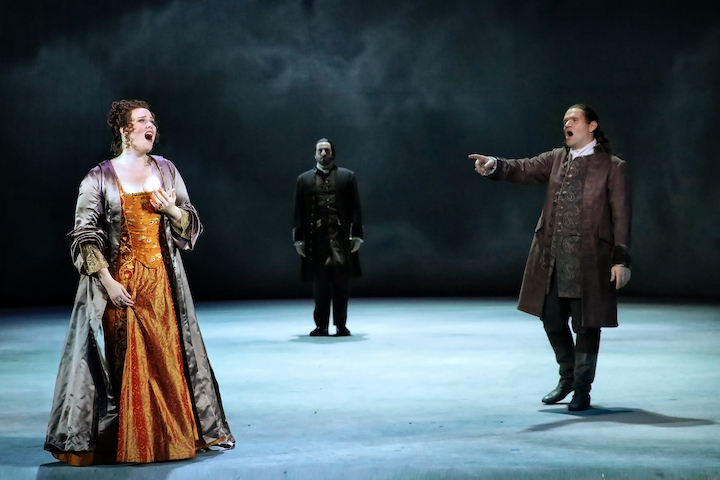 The 2012 production is something of an Emperor’s New Clothes in regard to settings, with panels of abstract storm clouds replacing the grand landscape and halls of Lammermoor Castle. 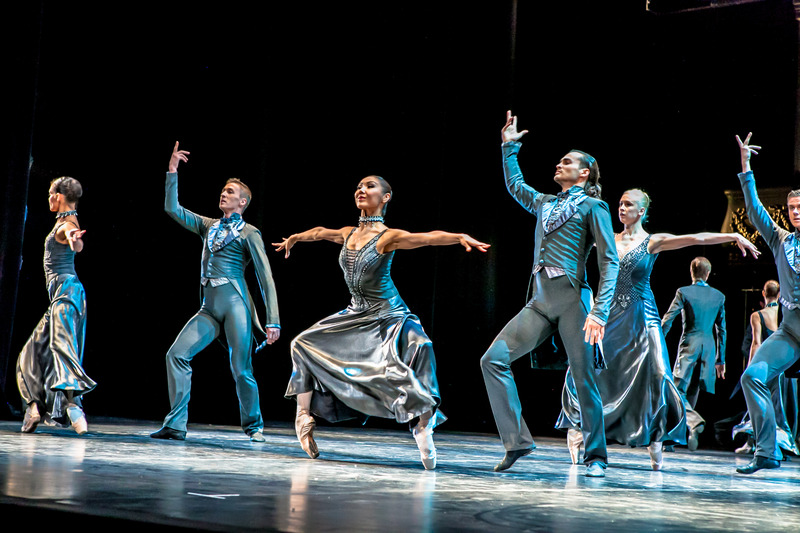 What designer Liz Ascroft omits in scenic detail, however, is made up for in splendidly sumptuous costumes. And it must be noted that a production that is true to the intended period is always appreciated. The storm panels capture the ominous mood, and allow the focus to fall squarely on the singers. Scene changes flow with effortless grace, and lighting designer Jane Cox makes clever use of the panels to cast ghostly shadows. Revival director Roger Press crafts an atmosphere of chilling gloom, ensuring the high stakes of the familial drama are weighted with heavy portent. Movement, as per John Doyle’s original direction, is deliberately slow. Even before tragedy erupts, the wedding festivities have a decidedly sombre, especially with the guests all dressed in black. Maestro Carlo Montanaro brings out the infectious melody and gently stirring pomp of Donizetti’s score, masterfully supporting the singers and leading Opera Australia Orchestra in a finely calibrated performance. In April, Pratt filled the notoriously cavernous Met Opera auditorium with glorious sound. The Joan Sutherland Theatre space is less than half the size, allowing Pratt’s pianissimo notes to be even more exquisite. Pratt immediately charms the crowd with “Regnava nel silenzio,” drawing roars of approval for her tender delivery. Throughout the evening, Pratt interpolates high notes with supreme confidence, performing gorgeous ornamentation while staying utterly true to character. In an extraordinary feat, Pratt surpasses the sky high expectations for her “mad scene,” stopping the show for minutes after “Il dolce suono.” Singing the call and answer with the flute, Pratt’s voice takes on a quality that can only be described as a unique musical instrument in its own right. To have 1500 very well versed operagoers holding their breath on the edge of their seats is the sign of a highly auspicious debut. 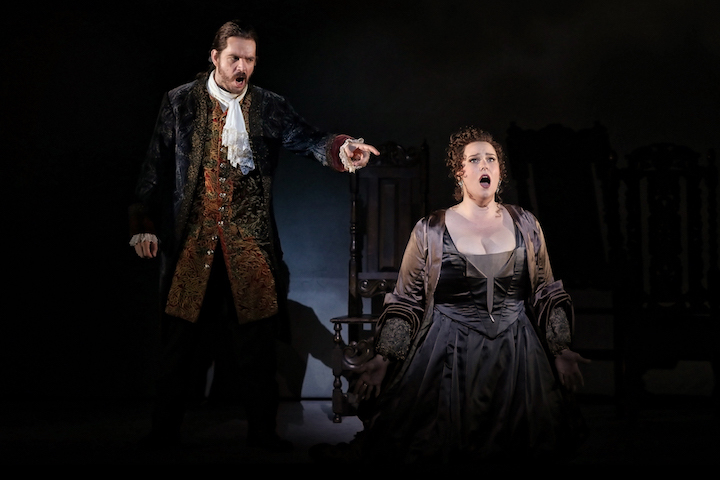 From his opening notes, as the passionate Edgardo joins his secret love Lucia, Fabiano displays the thrilling vocal frequency that generates such excitement in his performances. Fabiano’s effortlessly soaring tenor rings out with clarion power. 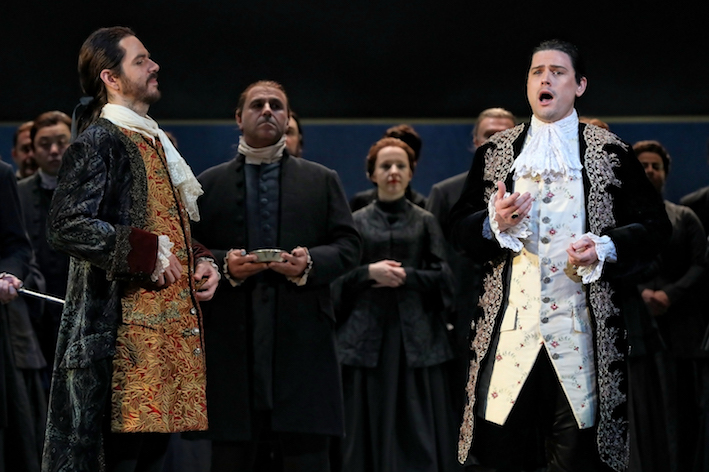 The quality of Fabiano’s vocals, combined with the steely focus of his acting, allows Edgardo’s final sequence of arias to generate fresh sensation, even though the audience is still recovering from the mad scene. 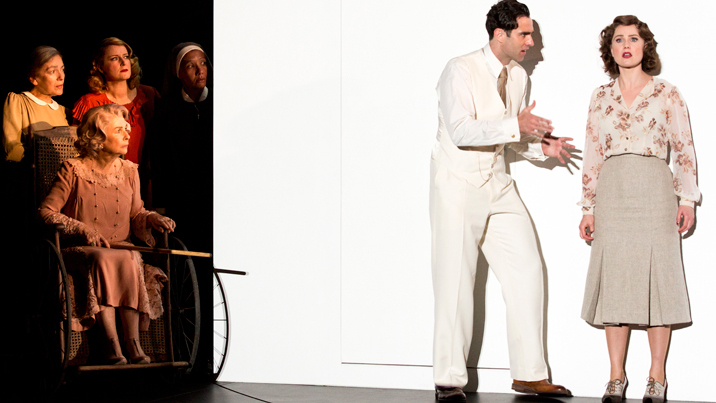 No stranger to the Opera Australia stage, Italian baritone Giorgio Caoduro makes another welcome appearance as Lucia’s desperate brother Enrico. Conveying Enrico’s impotent rage by the physical tension of his body, Caoduro drives the drama with believable conviction. Giving arguably his strongest local performance to date, Caoduro’s subtly burnished baritone pours forth with immaculate precision and rich beauty. Singing alongside such esteemed colleagues, local tenor John Longmuir more than holds his own, imbuing the underwritten role of ill-fated groom Arturo with a determined part to play in the enforced marriage and singing with characteristically lovely tone. Richard Anderson sings with compelling authority as mournful chaplain Raimondo. Jane Ede gives reliably sturdy support as helpless handmaid Alisa. Characterful tenor Benjamin Rasheed rounds out the Australian cast with a sharply focused performance as devoted huntsman Norman. 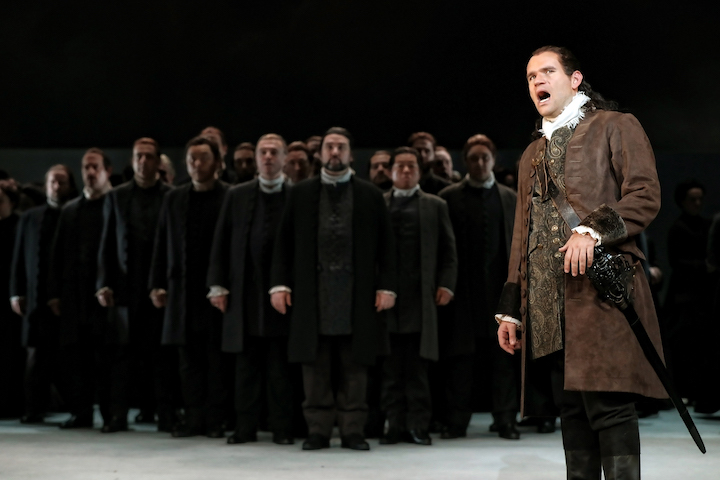 The exacting preparation of chorus master Anthony Hunt allows the Opera Australia Chorus not just to sing with uniform beauty but also to play an active supporting role in the unfurling drama. 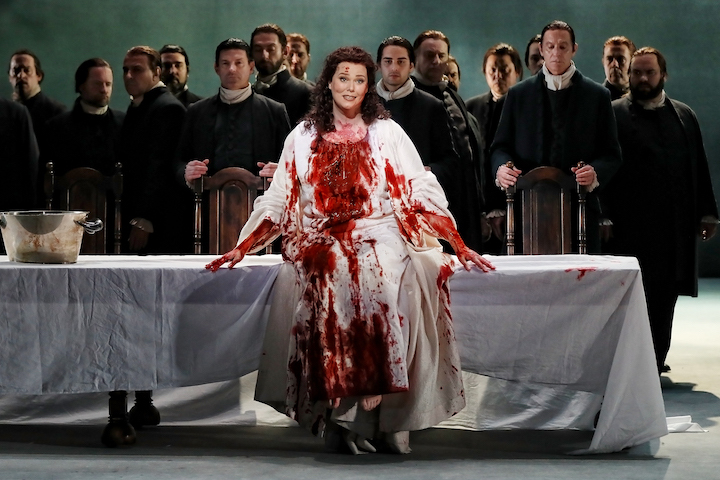 As word spreads of these extraordinary performances, Lucia di Lammermoor is sure to be a white hot ticket. Opera lovers would be mad to miss it. 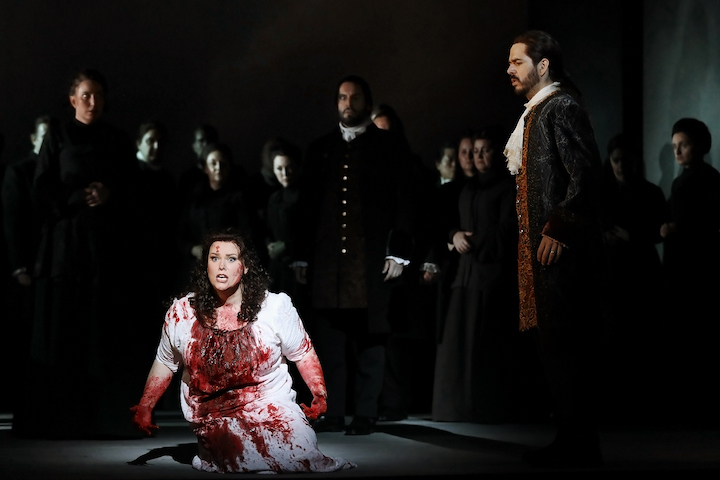 Lucia di Lammermoor plays select dates at Joan Sutherland Theatre, Sydney Opera House until 27 July 2018.